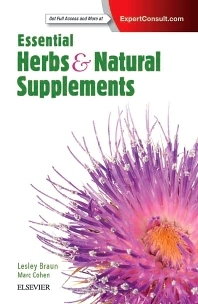 Essential Herbs and Natural Supplements is an evidence-based quick reference guide. This go-to resource is essential for safe and effective clinical recommendations of herbal medicines and natural supplements. It provides current, evidence-based monographs on the 50 most commonly used herbs, nutrients and food supplements.